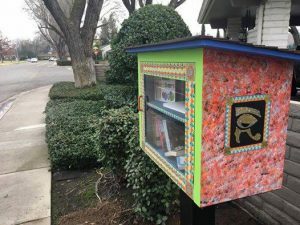 The Little Free Library program is an amazing thing, they kind of look like large birdhouses sitting low in front yards around the US. Inspired by the Micro Library Movement in Portland Oregon the first Little Free Library was built in 2009 in Hudson Wisconsin. 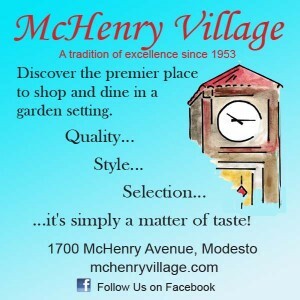 There are more than 75.000 Little Free Libraries in 88 countries and all over Modesto. 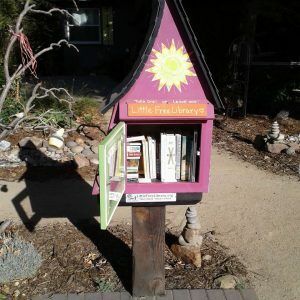 These little libraries are run by the home owner or tenants, who are called stewarts. When you pass by you can grab a book to read or drop off some for others. We encourage everyone to drop off your unwanted books especially children books at these great community resources. 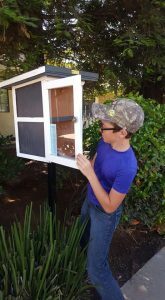 Check out the Modesto Little Free Libraries page on Facebook. 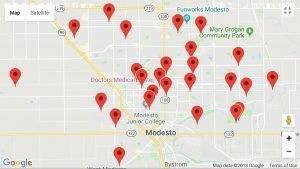 Here is a list of Modesto Area Little Free Libraries. If we are missing any please let us know so we can update our list.